What’s the best cannabis grinder? In order to smoke or process our buds, it’s usually necessary to break up the buds first, especially if they’re really dense! 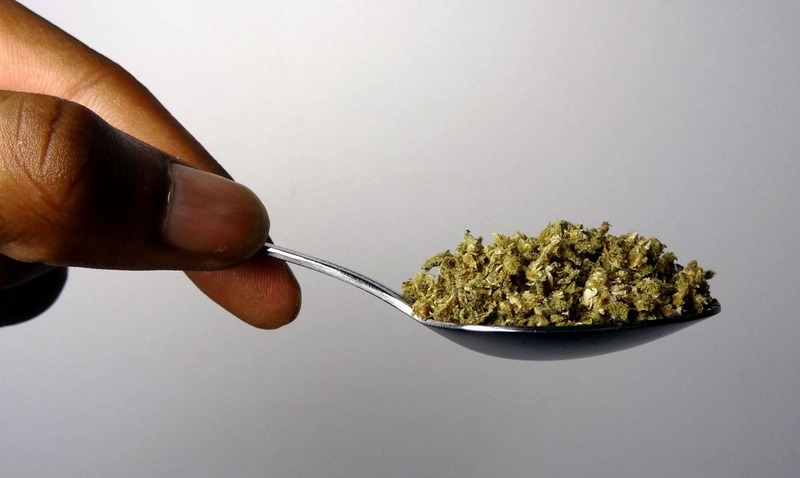 Most growers chop or grind their marijuana buds so they are easier to use! When smoking, grinding help your buds go further by “aerating” the buds (make them fluffy) so they burn more efficiently. This is can make buds feel stronger and last longer compared to breaking it up with your fingers! Grinders from Around the House – tools that are meant to grind herbs, coffee and tobacco all do a pretty good job with cannabis, too. However, these usually don’t have any way to catch kief that falls off your buds. Specially Made Cannabis Grinders – these can go from terrible to great, depending on the model! There are a millions ways to chop up your cannabis, and many work well, but if you are serious about getting the most from your buds, there’s a style of grinder that rules them all. 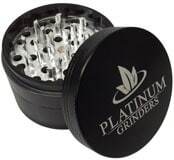 Grinders that are made for marijuana come in many different colors and models…. But which grinder works the best for weed? 4-Piece Cosmic Case – The Best Cannabis Grinder! Important Note: Unfortunately, production of the Cosmic grinder seems to have halted. We’re devastated by the loss of this first-rate grinder, but we’re currently testing dozens(!) to find the next best thing. For now, we’re using our old Cosmic grinders and the Santa Cruz Shredder, which has been a good backup. If you have a grinder for us to try, let us know here! I’ve used dozens of grinders over the years, and some are definitely better than others! Many of them can be a really great choice, but there’s one to rule them all. Now-a-days, I will only use a 4-piece Cosmic Case grinder. It may not look like anything special (though they do come in various colors and sizes), but that’s not what makes it great. 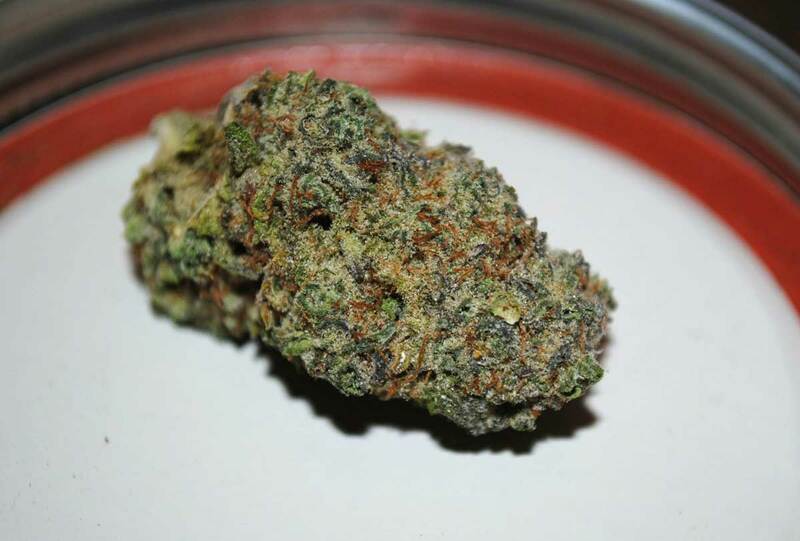 Its greatness lies in the fact that it is has been designed by cannabis connoisseurs from the bottom up. First, let me warn you about the price… They’re realllllllly expensive. I’m talking up to $90 for their large models! That may seem obscene, and it honestly is an obscene price for a grinder (which are normally closer to $15). But if you grind up a lot of bud in your life, I think it’s worth it to invest in a Cosmic Case. I only got one because a guy at a head shop convinced me, but I’m glad he did because I’ve used them ever since. It’s a sturdy piece of metal with good weight to it, and it has an overall very solid design. The 4-piece “Large” version looks like this when you open it up. Like all high-end grinders, it comes with a kief trap to collect all the kief/trichomes/glitter that naturally comes off your buds during the grinding process. That way you have kief for later! Note: When a grinder is labeled as a “4-piece” grinder, the 4th piece is the kief trap (often called a “pollen trap” by sellers). 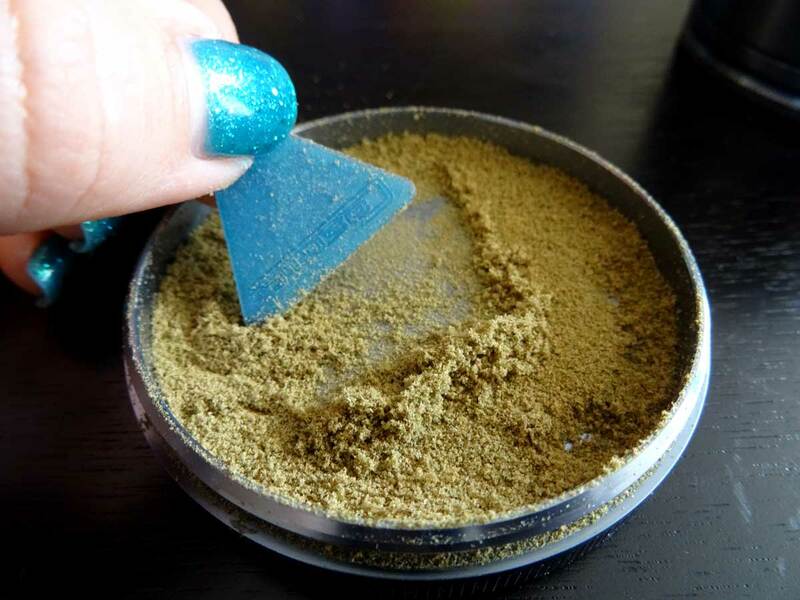 Kief/trichomes collect in the pollen trap so you can use it later! It also has a very strong magnetic top that lets you easily open it up, yet the magnet is strong enough that it won’t fall off on its own even if you hold it upside down or keep it in a purse or backpack all day. This may seem like a small thing, but it’s a huge improvement over grinders with weak magnets (where the top comes off all the time) or screw-on tops (which get all gunked up after a while and won’t screw off easily anymore). Those are great features that you should get from any high-quality grinder! However, the Cosmic Case has something else that makes it special…. What Makes It the Best Grinder? 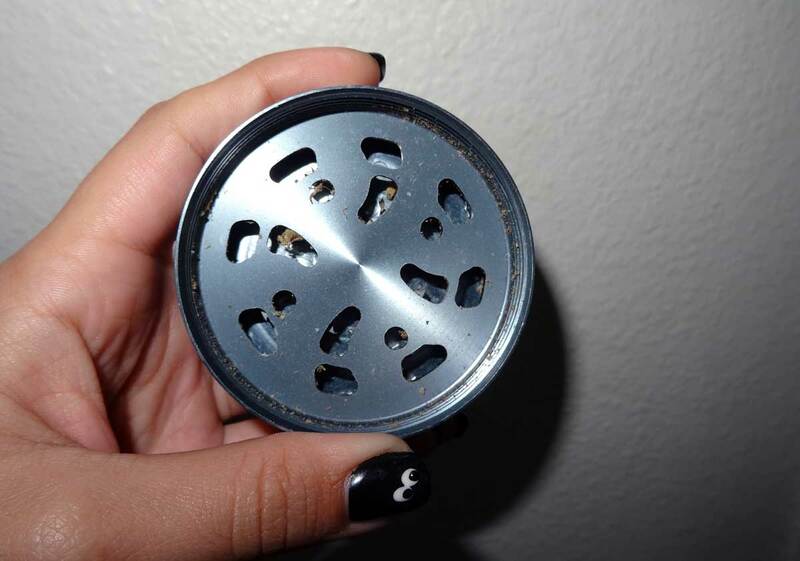 The thing that makes this grinder so great is the weird holes it uses. They look like they’re going to let all your bud through in huge pieces because they’re so much larger than standard holes, but it doesn’t actually do that. For whatever reason, these oddly shaped holes are just plain better (in my opinion) than the regular round ones. 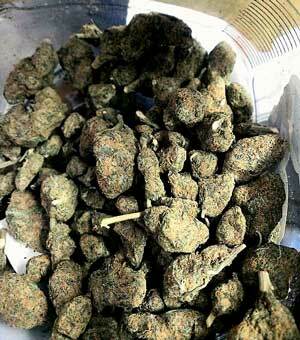 They shear the buds into a different consistency than normal grinders, and buds never get ground to dust. The shearing makes any buds kind of fluffy, even if you’re using dense buds that are tough to break up. I have found that buds actually seem stronger/more potent compared to not grinding them because the ground bud burns all the way through evenly in just one breath. This makes buds last longer since you use less at a time (though it can give you a head rush!). The buds become fluffy due to the shearing action – this extra air makes buds burn better and they’ll often actually feel more potent! It works great even with extremely dense buds! Check out the 4-Piece Cosmic Case on Amazon! 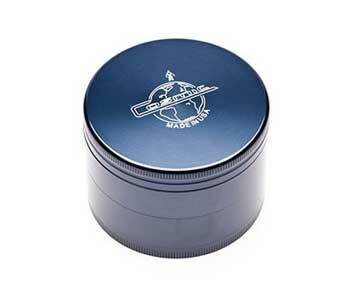 When you use a great grinder like this, your buds will feel more potent and as a result your buds will last longer. Despite the cost, these are a good investment! It’s a top-notch present for a fellow enthusiast, or as a present to yourself, and I know you’ll become a believer as soon as you try one the first time! Treat your weed with a great grinder! Where is the best place to buy marijuana seeds online?